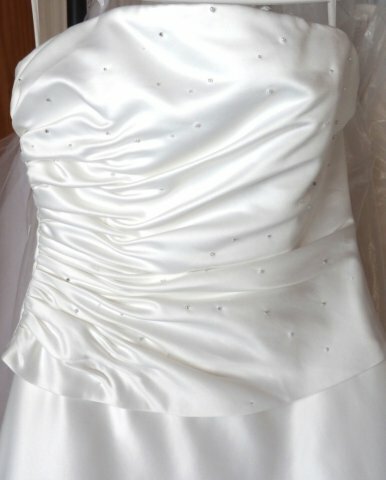 Ruched bodice with scatter of glass beads and pearls. Zipped back with covered buttons for decoration. Please check your measurements with a tape measure against the size chart. Bust 35", Waist 27", Hips 37.5"
There is room to let the dress out by 2". Once in the cart you can either check out with Paypal or select the option to pay by debit or credit card.